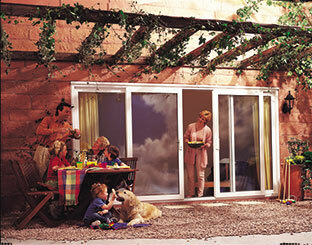 Patio doors can dramatically improve the lighting and sense of space in your home. At Hall's Windows we offer a full choice of Elitis Patio and French doors in an array of colours and finishes to harmonise with its character. Adding elegance and style, Patio and French doors will allow the daylight to flood into your home bringing the outside in to open up the boundary between your house and garden. We also offer stunning bi-fold doors for the striking effect that comes with a full landscape of nature and light flooding into your home. The beautiful Elitis bi-fold doors that we install here at Hall's Windows are also available in a variety of styles and colour to complement the look and feel that you have created for your home. Having listened carefully to our customers we know that when it comes to Patio doors, safety and security is often a cause for concern. This is why we go to great lengths to ensure that the Patio and French doors we install are fitted with extra security measures to withstand a determined intruder. 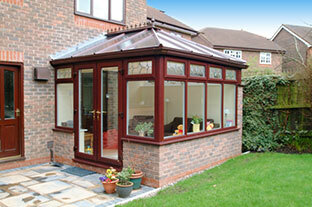 For more details on the security features of our patio doors – click here.